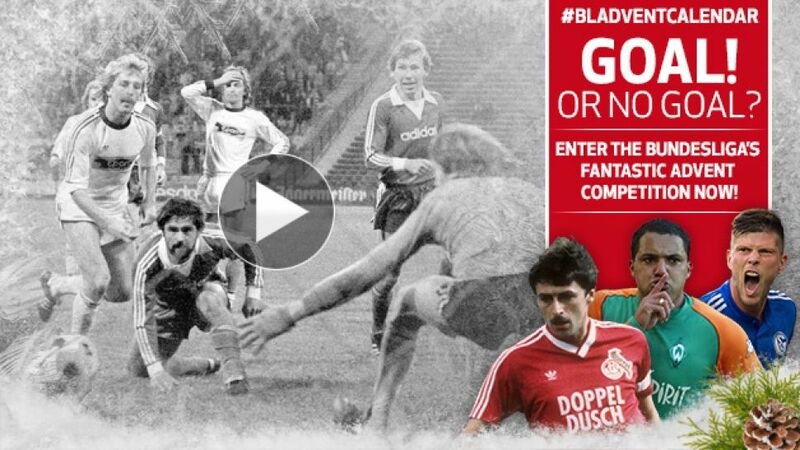 On day one of the competition, it is fitting that we begin with the greatest goalscorer in the league’s 52-year history: Gerd ‘Der Bomber’ Müller. Müller’s favourite opposition was Hamburger SV, against whom he scored 22 league goals.Until 2014, Müller was the only player to have been recognised with the Goal of the Year award without actually having scored the goal. It was his sumptuous back-heel that was finished off by Günter Netzer in a game for Germany against Switzerland on 15 November 1972, for which the two players were jointly awarded the prize. Julian Draxler and Raul were recognised in the same way for their goal for FC Schalke 04 in a testimonial game in 2013.Müller never received a call-up for any of Germany’s national youth teams, despite going on to score 68 goals in 62 matches for the senior side. He remained Germany’s record goalscorer until he was overtaken by Miroslav Klose in June 2014.